I have made some yummy things in the interim and one post is coming soon. However, I thought I should share something quick and easy with you for now. A lemon air freshener. I can’t tell you where this came from. It appeared as a meme in my Facebook feed a few months ago but wasn’t attributed to anyone. 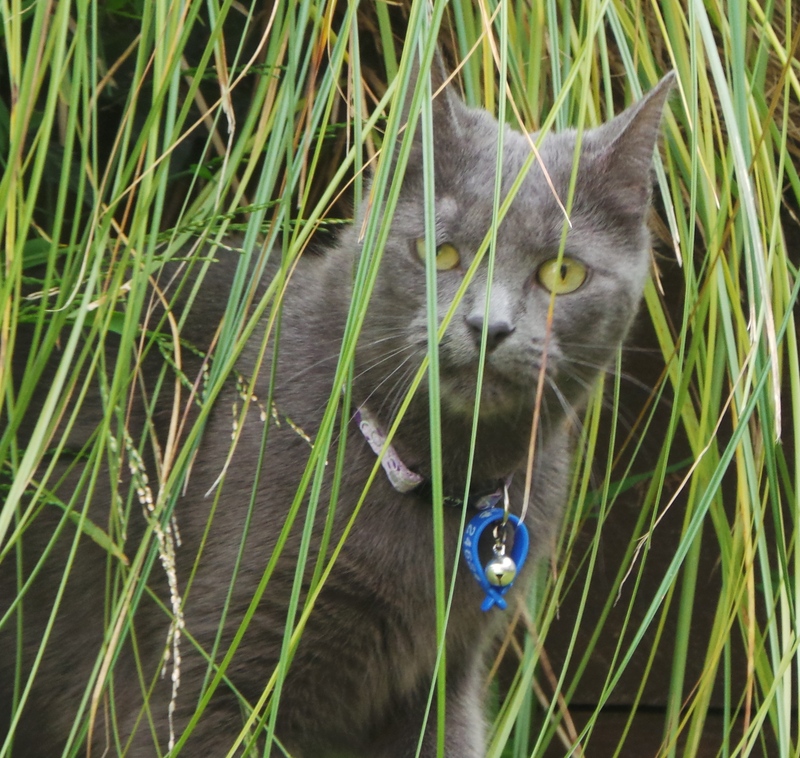 We now have THREE cats. The Accidental Cat, Sara, seems to have issues with entering the litter tray properly. This means that her rear end is often not occupying the designated air space. Cats. Sara is the grey one. Consequently, there is a fair bit of unaccustomed cleaning activity being carried out in the Budget Bounty household. This is often accompanied by much giving of thanks that there will be no carpets anywhere in the New House – once it is built. Also a certain ‘pungency’ of the atmosphere tends to occur alongside such events. This little air freshener is coming in handy. It’s also doing the job without setting off any allergies, exacerbating hayfever or triggering asthma like a lot of commercial air fresheners can do. Just saying. Firstly, get thou a spray bottle of some kind. It will need a capacity of at least 500 ml, which is 2 cups or half a litre. If you are American, a pint will do. 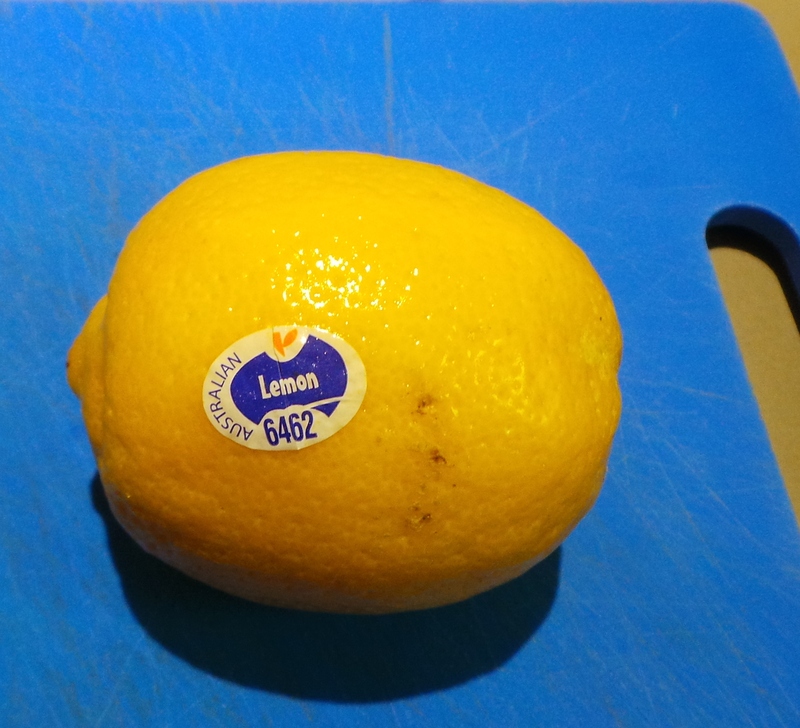 Then find a nice, juicy lemon. If you want it even juicier, then roll it on a hard surface to break up some of the internal structure and release more juice. Squeeze it into a small jug. 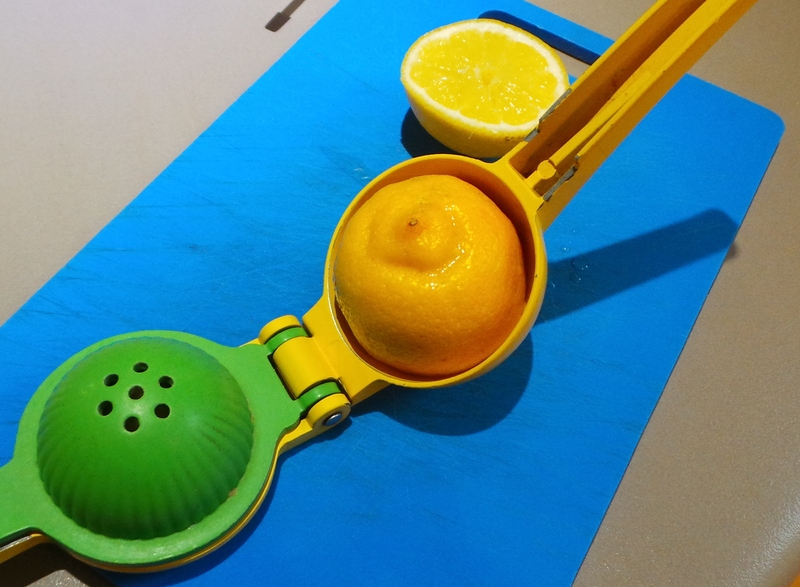 This citrus squeezer is one of my favourite gadgets. 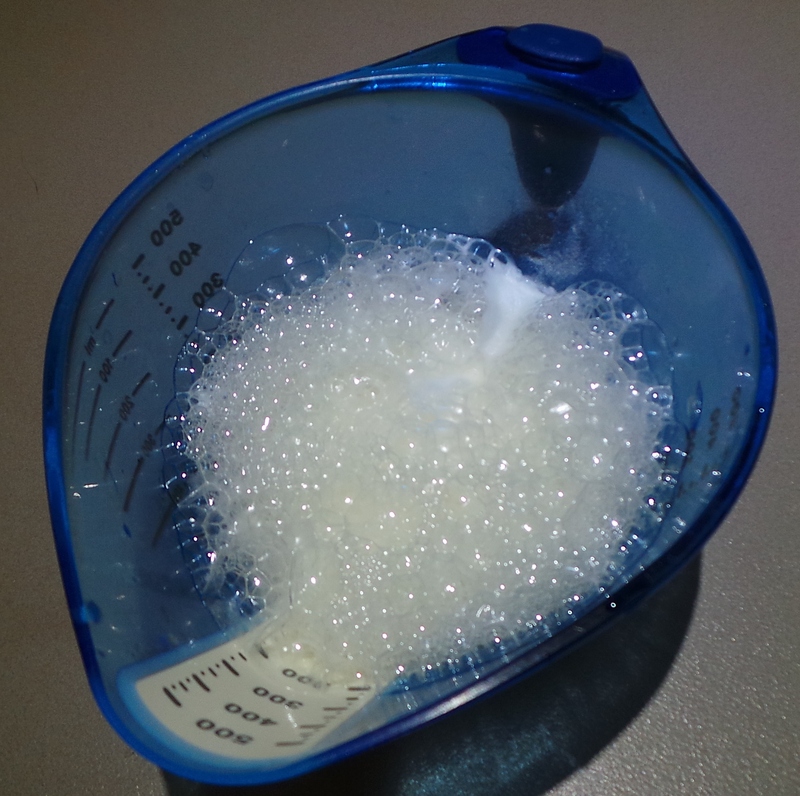 Add 2 level tablespoons of bicarbonate of soda (baking soda) and wait for the fizz! Stir well. Once it has settled and you can be sure there are no undissolved lumps, add 2 cups of tepid water. Stir well. Now, even the best juicers can let seeds and bits of pulp through into the resulting liquid. You don’t want those in your spray bottle or the works will get clogged up. Strain it. I placed a teeny tea strainer in the mouth of my funnel and strained it as I filled my bottle. 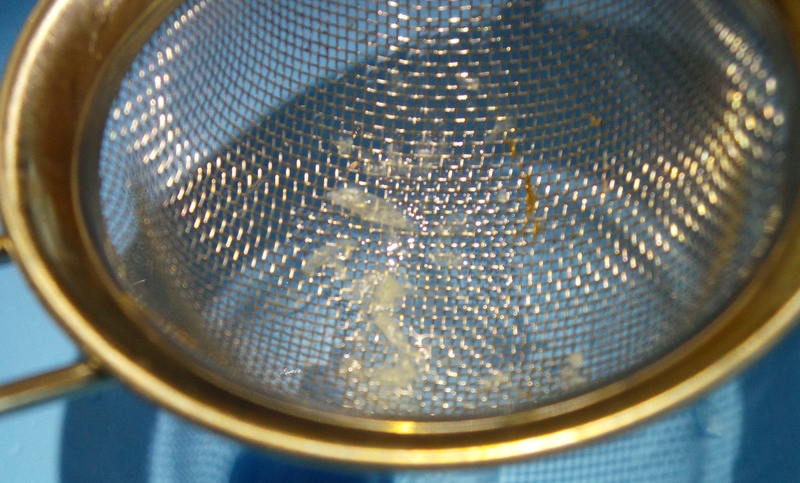 Bits get strained out – which is good. 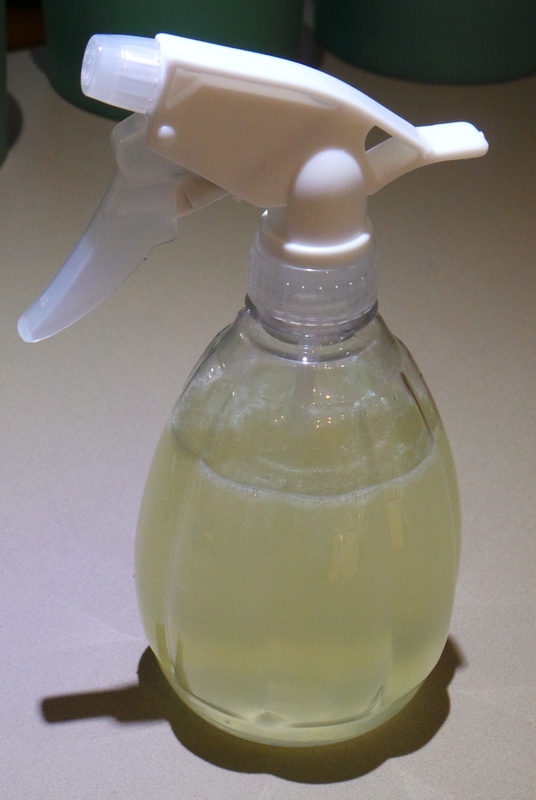 Place the nozzle on your spray bottle and give it a small shake before each spray. Juice the lemon into a bowl or jug. Add the bicarb. The mixture will fizz up a little, this is not something to worry about. Stir well. Add 2 cups or 500 ml of tap water. Mix well. Strain to remove any stray lemon seeds or fruit pulp. Use to fill a small spray bottle or atomiser. 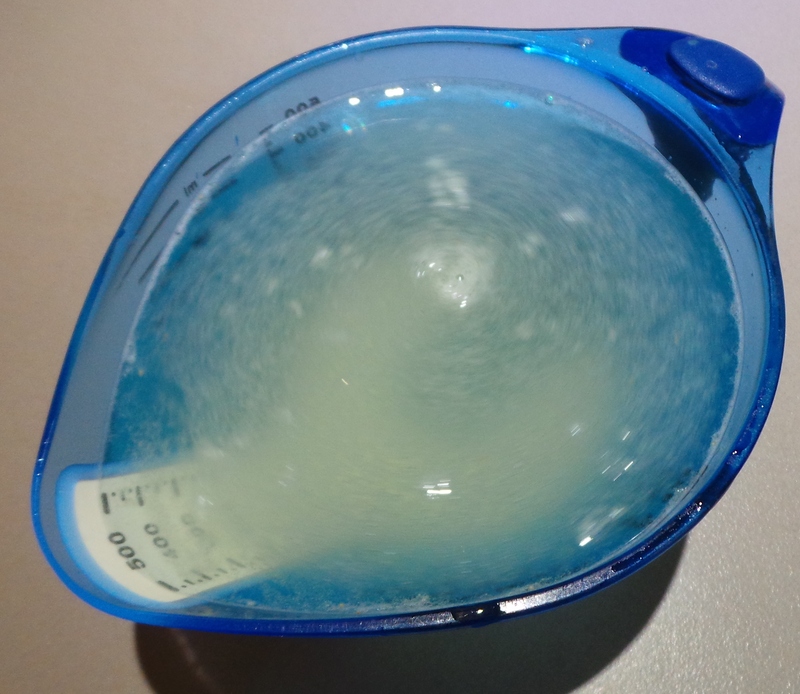 This mixture will impart a slight lemon fragrance to the air and the bicarbonate of soda will help to absorb any bad smells that may already be there. Don’t be a health bully. That’s bad.